advance. Promotional value expires 365 days after purchase. 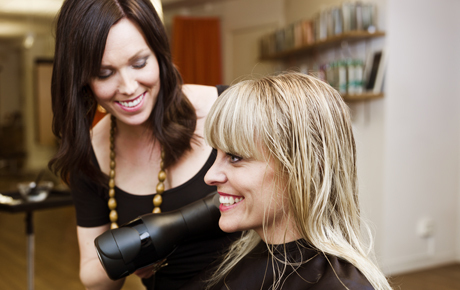 Show your locks some love with 50% off women's haircare from Cosmetology Training Center in Stone Park ($50 value). This deal includes a haircut and root touch-up to give you a stylish and polished new look. Established six years ago, Cosmetology Training Center is a private cosmetology school that trains students in a variety of beauty services. The supportive atmosphere allows students to thrive while also providing customers with excellent haircare, skincare and more. Cosmetology Training Center offers haircuts and color as well as manicures, facials and waxing for comprehensive beauty maintenance. Give your mane a boost at this friendly and welcoming salon.